On November 25, 2016, in the hours following the public announcement of Fidel Castro’s death, footage of the late-night television broadcast made by Raúl Castro began to circulate across social media platforms. On Facebook, one of Cuba’s most prominent news dissemination sites, Cubadebate.cu, posted footage from Raúl Castro’s announcement, with one small change. In the bottom right corner, they added a hashtag: #HastaSiempreComandante. Attributed to Rosa Miriam Elizalde, editor of the Cubadebate website, this hashtag signaled an honoring of Fidel’s death and an affinity to his legacy. The phrase evokes the famous song Hasta Siempre, Comandante, composed in 1965 by Carlos Puebla in honor of Che Guevara upon his departure from Cuba. It was promoted by Cubadebate specifically, appearing on all of their coverage of Fidel, but was also taken up by organizations and social media accounts in other countries. Cubadebate’s online video of the Castro television announcement received over 350,000 views; it was shared more that 9,500 times, and had more than 6,500 reactions. Other Cuban outlets paled in comparison in terms of generating views, shares and comments for their online postings. For example, the national newspaper Granma’s version of the same video on their Facebook page received only about 80,000 views. The hashtag migrated to other platforms, including Instagram, where more than 7,300 images were tagged with #HastaSiempreComandante. The rise of the #HastaSiempreComandante hashtag is interesting because it could represent the first major media event in which Cuban journalists fully embraced the role of social media in commentary and coverage. While other recent events in Cuba, such as the visits of President Barack Obama in March of 2016 and Pope Francis in September of 2015, received extensive coverage from Cuban digital media outlets including Cubadebate, the death of Fidel Castro was global news on a larger scale. Cubadebate was able to offer rapid coverage on the ground in Cuba of how officials and citizens were reacting in the aftermath of Fidel’s passing, which was quite distinctive from the stories and opinion pieces that emerged from U.S.-based press outlets or other international organizations. 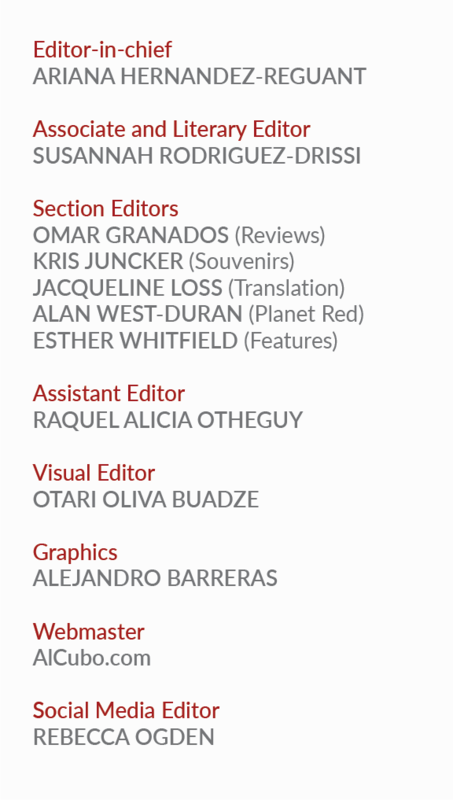 Their invention and promotion of the #HastaSiempreComandante hashtag, and the online campaign they built around the hashtag in the days and weeks following Fidel’s death, showed a new level of engagement with recent and emerging social media practices of digital journalists elsewhere in the world. This engagement seems to have been a success, as Cubadebate’s visibility on social media networks rose most noticeably during the period, with staff attributing at least part of this visibility to the #HastaSiempreComandante hashtag. At a moment when Cubans themselves are increasingly gaining access to smartphones and social media, Cubadebate’s coverage of the death of Fidel offer some signs of future directions for new generations of Cuban journalists. Hashtags are an emerging area of research for social scientists, including anthropologists. As verbal flags that allow social media posts to be tracked and organized, they can map the spread of ideas across networks that are rarely navigable on the ground. Anthropologists Bonilla and Rosa have described hashtags as an “indexing system in both the clerical and the semiotic sense” that might be understood as a new form of field site. Much existing research on the role of hashtags in communicating media events has focused on examples of popular uprisings: the 2009 elections in Iran, the Arab Spring in 2011, and protests in Ferguson, Missouri in 2014. The role of citizen-journalist has been richly examined for spreading alternative or underground information and perspectives through social media. The speed and flexibility with which social media can avoid and subvert mainstream media outlets has been used by citizen-journalists and activists to rapidly – if sometimes fleetingly – raise awareness around particular issues, creating new kinds of publics that may be temporary or ad hoc. In contrast to such examples of popular movements or anti-state protests, the death of Fidel and its coverage by Cubadebate centered around the celebration of a national figure, and the government of which he was leader. As such, the role of Cubadebate social media staff might also be understood as a digital successor to the television producers of broadcast media events—major occasions such as weddings, funerals and sporting events that media theorists have long argued offer opportunities for a mass audience to stop and see themselves in the midst of a shared historical moment. Internationally, hashtags have become an increasingly common feature of mainstream media outlets in broadcasting; the BBC has been using them on television news broadcasts since 2010. So in one sense, Cuban digital journalists may simply be developing similar branding and interactive practices to other public media outlets. But a particular feature of the Cuban social media landscape is, of course, that a relatively small number of voices come from Cubans living within Cuba; currently, Cubadebate’s main audience lives elsewhere. The success of the hashtag was due in large part to circulation across international networks; the most influential Facebook sharers of the hashtag included the Students’ Federation of Jawaharlal Nehru University in India, the London-based Cuba Solidarity Campaign, the Government of Belize Press Office, and Alberto Rojo, a Filipino with a large Facebook following. With the mission statement of “fighting media terrorism,” Cubadebate seems to be working as a bridge between traditional Cuban news media outlets and networks of supporters of socialist Cuba internationally, for whom digital social media has become an increasingly important means of information sharing, activism and organizing. In their hybrid position, then, the digital media producers of Cubadebate may at the same time be identifying with the discourses of activism while adopting the practices of public media outlets. 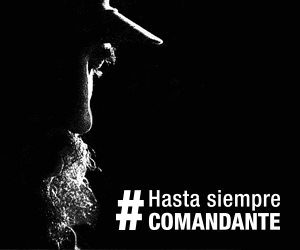 Whether the success of #HastaSiempreComandante inspires Cuban public media organizations to venture further into the world of digital, viral and social media, remains to be seen. Data for this article was collected using hashtag-tracking tools provided by Brand24.com and Keyhole.com. Anna Cristina Pertierra is a Senior Lecturer in Cultural and Social Analysis at Western Sydney University, Australia. An anthropologist by training, Anna’s research interests include media, consumer culture, and the material culture of urban modernities in Latin America and Asia. Her publications include Cuba: the struggle for consumption (Caribbean Studies Press 2011), Consumer Culture in Latin America (with John Sinclair, Palgrave Macmillan 2012), and Locating Television: Zones of Consumption (with Graeme Turner, Routledge 2013).